Paris is a magical city full of intriguing history, fantastic architecture, and of course, great shopping, food and wine. While I could write about it for days, here’s one of the many fun and obscure bits of trivia that connect one of Paris’ most famous landmarks to America’s Old South. 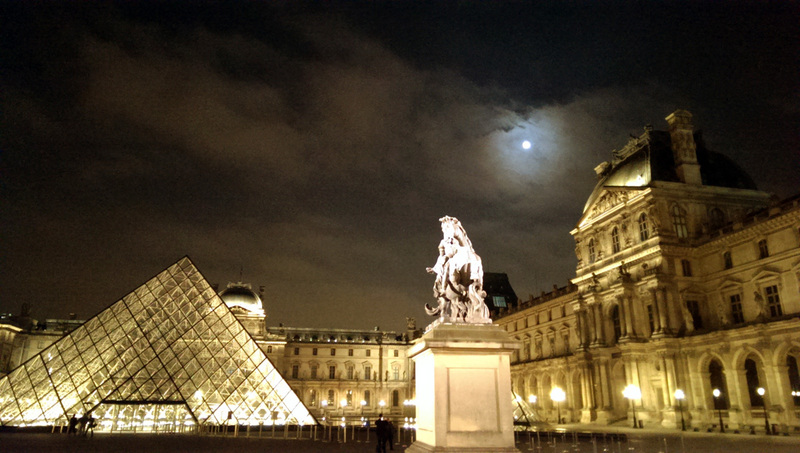 The Louvre in Paris is among the world’s most renowned and largest art museums. After snapping this picture with my phone, I was curious about the history of the only statue in front of IM Pei’s glass pyramid. The statue is of King Louis XIV on a horse, sculpted by Gian Lorenzo Bernini. Louis the XIV, the Sun King, enjoyed the longest reign of any European monarch (almost 73 years). He built the stunning Palace of Versailles and had a hand in establishing and preserving the borders of many modern European countries. Two things make this statue of him particularly interesting: First is that the Sun King hated it. He initially demanded that it be demolished. Cooler heads prevailed and he settled on having his likeness removed from it and just moving it out of his sight. Second is that there are only two copies of this statue in the world. The original statue still stands near the Pool of the Swiss Guards at Versailles. The second copy is the cast lead iteration at the Louvre in the photo above. And the third copy? It’s a ten ton, 12’7″ tall version made of crushed Carrera marble powder dust. Care to guess where it permanently resides? Jackson, Mississippi, which was the only US stop of the 1998 traveling “Splendors of Versailles” exhibit.